August’s activities addressed issues of identity and citizenships exploring politicization of religion and sectarianism in Southeast Asian countries. The panel discussion “Born in Limbo”, on the uncertain legal status of migrant children born in Thailand will have a follow-up this month with a photo-exhibition on the same topic. 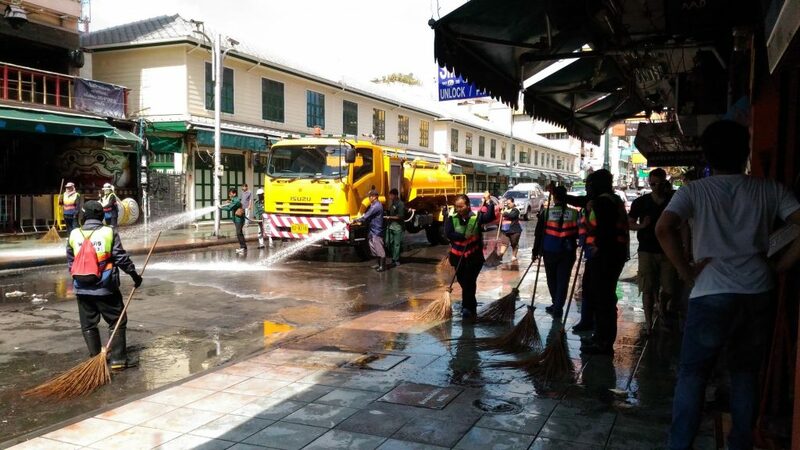 Other events continue the series Beyond Food, with a focus on street vendors and policies affecting them in Thailand and the region, and discuss ongoing transitional justice efforts for still unresolved abuses. As usual, our monthly Southeast Asia Mini Book Fair will showcase second hand and new books about Southeast Asia. We hope our programs continue to interest you and we look forward to further interaction and support. To foster greater awareness of the conditions of Myanmar migrant children in Thailand, the World Vision Foundation of Thailand and SEA Junction propose two interrelated activities with the support of the European Union. Last month, we conducted a public dialogue on concerns as well as possible resolution to impending challenges of Myanmar migrant children in Thailand, while this month a photo exhibition will illustrate the issues at stake. This second event in our series on street vendors with the initiative “Beyond Food” will focus on how spatial arrangements by the municipal and national government interact with corporate interests and impact on the physical space of street vendors and how vendors try to negotiate with the authorities for survival. Findings from research in Khaosan Road and Jawarat and in Siam Square will be presented and serve as a base for discussion. In 2017 painter Erica Hestu Wahyuni gave a series of successful painting classes for both children and adults to introduce them to her colorful world. 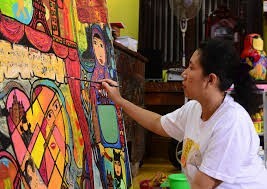 Erica’s naive, playful renditions have ascertained her reputation as one of the most sought-after contemporary artists in South East Asia. Taking occasion of her travel to Thailand we will hold another class for all interested (maximum 15 people). This event in collaboration with the Transitional Justice Asia Networks (TJAN) will focus on the role of civil society in advocating and striving to achieve Transitional Justice (TJ) and promote both judicial and non-judicial measures in order to redress legacies of human rights abuses. Selected videos of a new a series on transitional Justice in Asia will be screened (http://asia-ajar.org/video/) in combination with a panel discussion on the same issue. 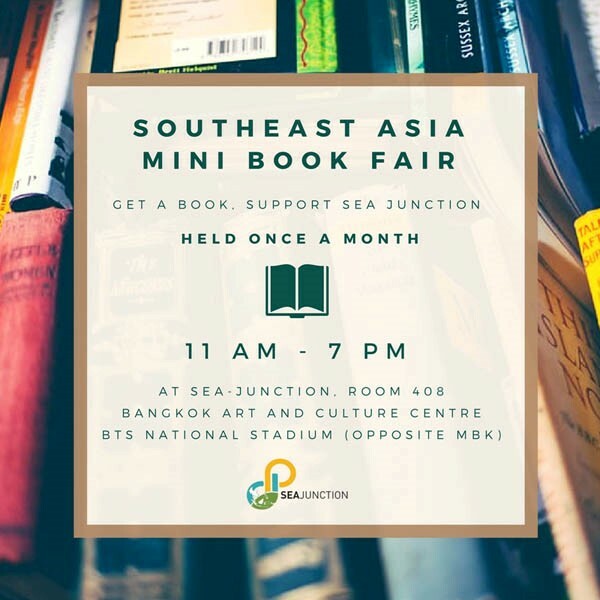 Once a month, SEA Junction holds a mini book fair focusing on Southeast Asia. Three kinds of books are displayed. New books given in consignment from recognized publishers with an interest in the countries of Southeast Asia. New and used books, Few literature and development-related works from outside the region that have been donated to SEA Junction for the purpose of the fair. All profit from the books in consignment as well as from the donated books will contribute to SEA Junction’s functioning and activities.